You may have noticed that almost all cycling sites offer financing today. However, I'm here to warn you not to just hop into a finance offer before reading this public service announcement. You may think it's easier to finance a bike rather than put it on your credit card. Some of these finance companies are charging up to 30% APR per year. That's more than the 28% your credit card company is charging. And, the credit card allows you minimum payments. They require a credit check to approve The outstanding balance goes on your credit report. Definitely not a win in my book? So what's a savvy buyer to do? Not snag a good deal on a bike, just because it's expensive? We know many of these offers and deals just straight up don't last. Our customers are furious that Diamondback's boys Sync'r mountain bike, many of the BMX SE Bikes, the entry level Atroz or overdrive, and soon the Raleigh Cadent, are going to be gone. Great bikes, and you won't get ahold of that type of bike, especially at that price, for at least a year. Lucky for you, we just partnered with one of the industry leaders in financing. If you finance for under 6 months, they've got 3 different options that will offer 0% APR financing, and 2 options that won't even require a credit check. They'll even delay your payment until you receive your bike (or part)! For longer term loans, you'll be paying 9.99% APR. You can't even get that on an unsecured loan. When you check out, simply use the "Klarna" option, and you'll be doing yourself a solid. I know, these options seem scary. If you've got questions, don't hesitate to reach out. 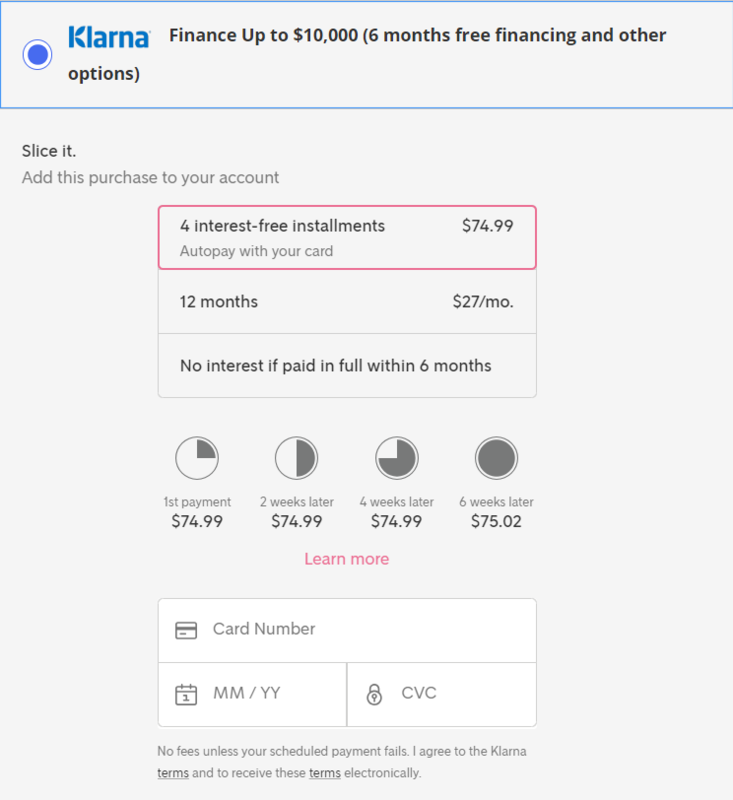 Finally, some data about Klarna's 'slice it in 4', which is a no brainer easy way to break your payments into 6 weeks. No extra fees and no credit checks. Let us know if you have any questions about financing.